Ponatinib (Iclusig, ARIAD Pharmaceuticals-Incyte Co.) is a third-generation structure-guided tyrosine kinase inhibitor that is approved for treatment of Philadelphia chromosome-positive leukaemias resistant or intolerant to other inhibitors. The clinical use of ponatinib is complicated by the possible development of cardiovascular events, primarily hypertension and arterial or venous thrombotic events. The US Food and Drug Administration and the European Medicine Agency recommend that the cardiovascular profile of patients candidate for ponatinib should be carefully evaluated. For patients deemed to carry a high risk of cardiovascular events, other life-saving therapeutic options should be considered. When alternative options are not available, treatment with ponatinib is indicated but requires that haematologists and cardiologists collaborate and identify modalities of surveillance and risk mitigation in the best interest of the patient. This article reports on the expert opinion provided by a panel of Italian haematologists, cardiologists and clinical pharmacologists. 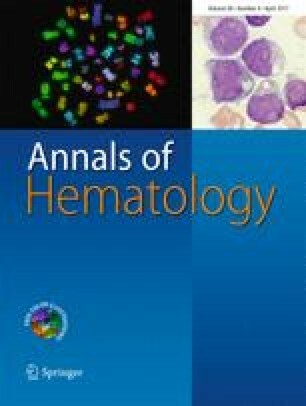 It summarises suggestions that may help to improve the therapeutic index of ponatinib, primarily in the settings of chronic-phase chronic myeloid leukaemia.